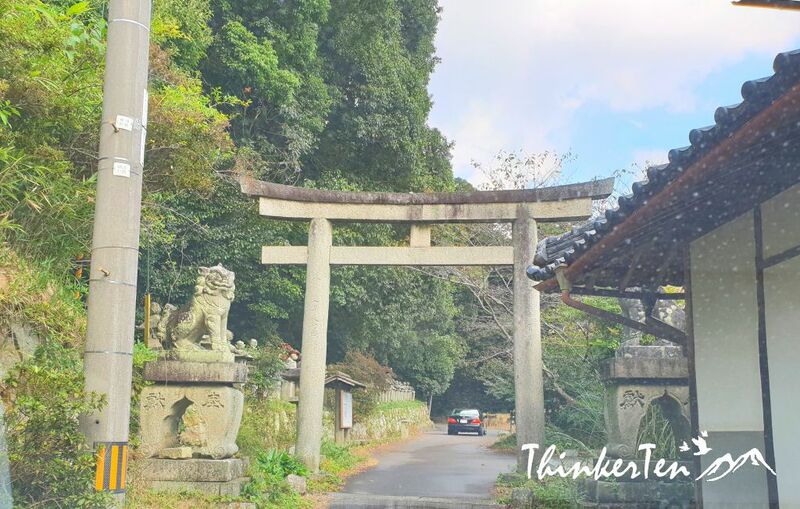 If you are travelling in Shikoku region, you are mostly likely an advance traveller who loved to see some other local hidden gems in Japan beside Asakusa 浅草 (Tokyo) or Arashiyama 嵐山 (Kyoto). Konpiransan also known Kotohira-gu (金刀比羅宮) is a place you should not missed. 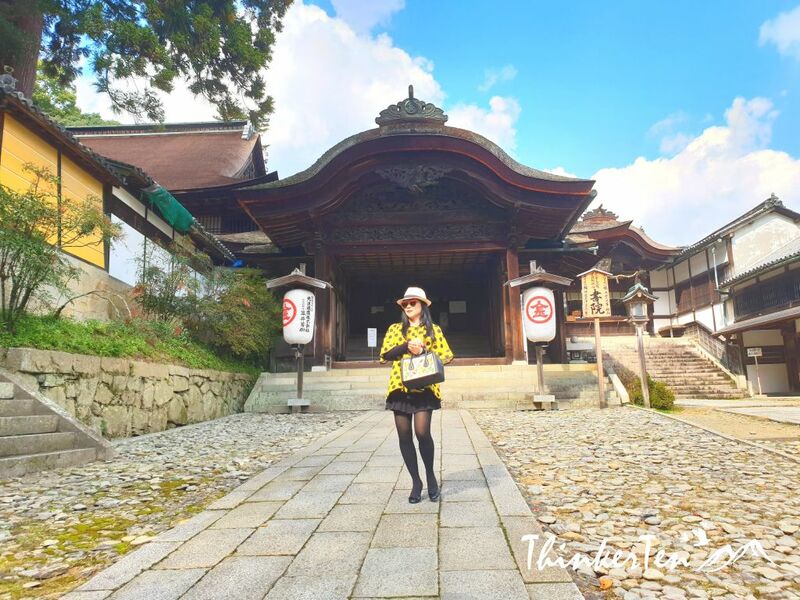 It is so important that it is a place that many Japanese want to visit at least once in their lifetime. The funny thing is the GPS has brought us to the back of the mountain to enter Konpirasan which is kind of adventurous and scary as the road is very narrow and full of Japanese ohaka/graveyard. I am sure it is not the usual route for the visitors because we are the only car passing by those dark eerie graveyard and bamboo forest. This is not the first time GPS has play tricks on us. We experience similar cases several times during previous self drive in Japan. 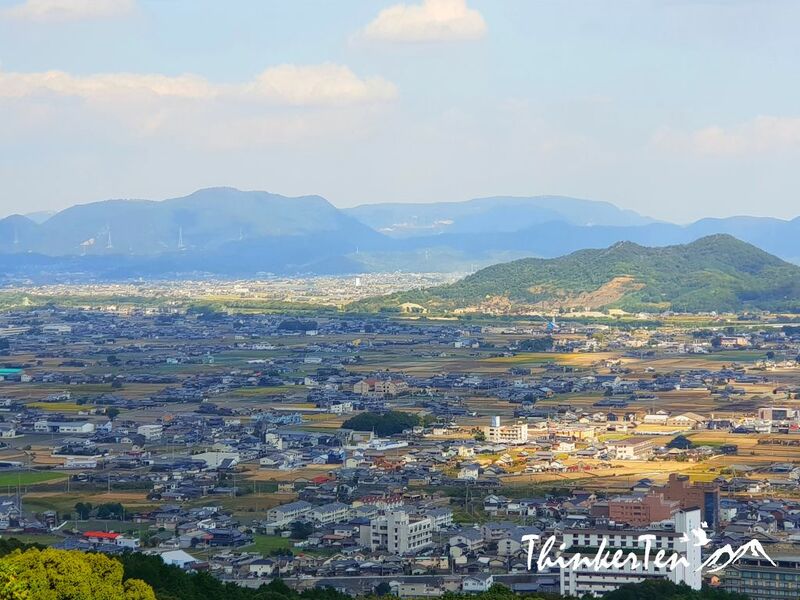 We still could not see Konpirasan after driving for 5-10 mins in the dark forest but we knew it was nearby so we decided to stop and park our rental car near a home restaurant in the middle of the mountain once we see some local housing started to appeared. After we parked the car, we use our handphone google map to walk us to Konpirasan. 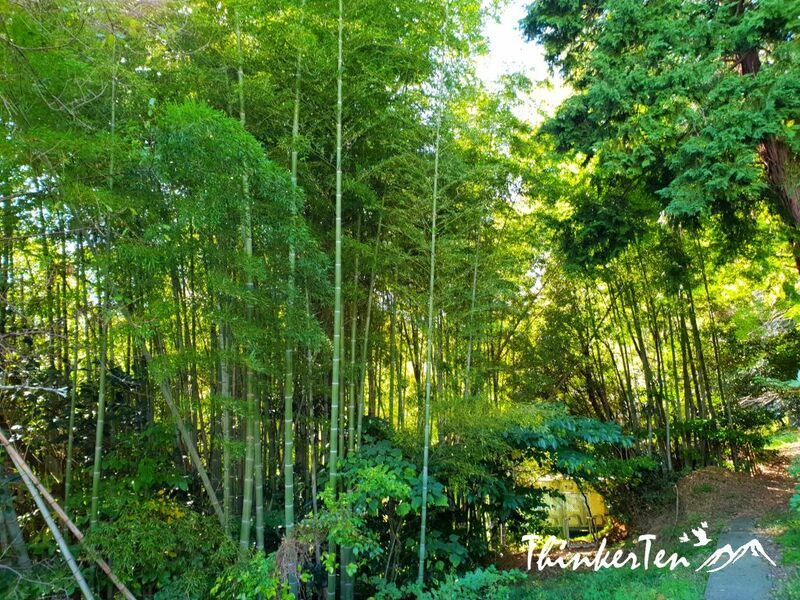 We don’t see any visitors along the way, only bamboo forest and lemon trees. But finally found our way. 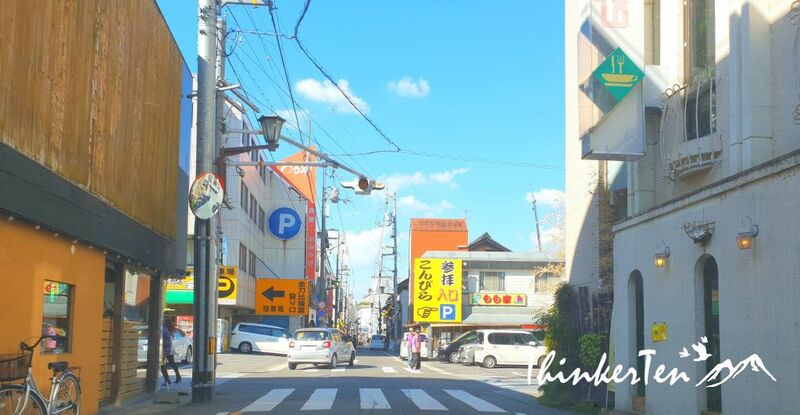 The normal entrance to Konpirasan (below picture) is through shrine road where visitors would walk up from the small town passing through many shops and restaurants. We then realised we have skipped 1/3 of the climb since our car has brought us to the middle of the mountain. If you are coming up by train, you will be using the normal route and climb from the bottom of the stairs. 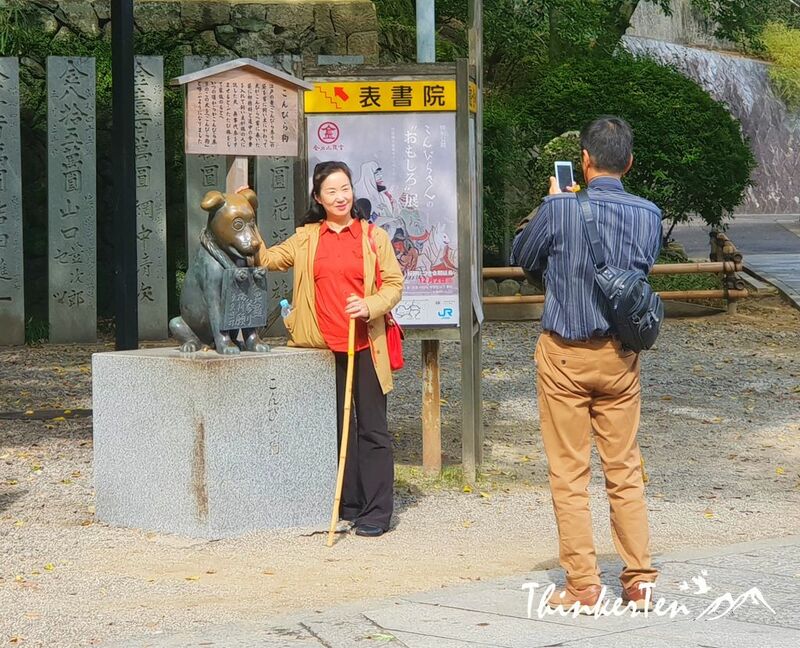 There are in total 1368 steps up to the shrine and many visitors were seen holding and walking with a bamboo walking stick. Those walking sticks can be loan from the souvenir shops. 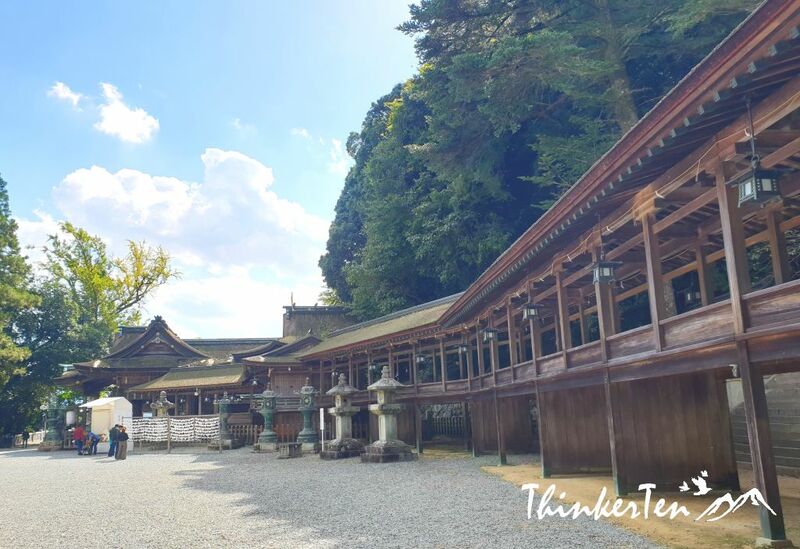 Konpirasan is a mixture between Shinto shrine and Buddhist temple but it was officially declared a shrine in Meiji Period. 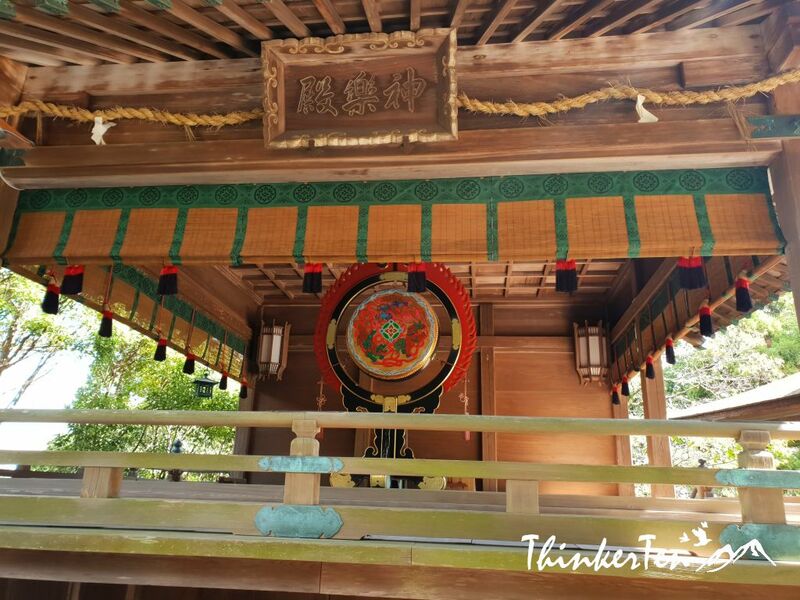 However you are still able to notice the architecture displayed both Shinto and Buddhist elements. Not everyone can set up little stall and sell thing inside Konpirasan. 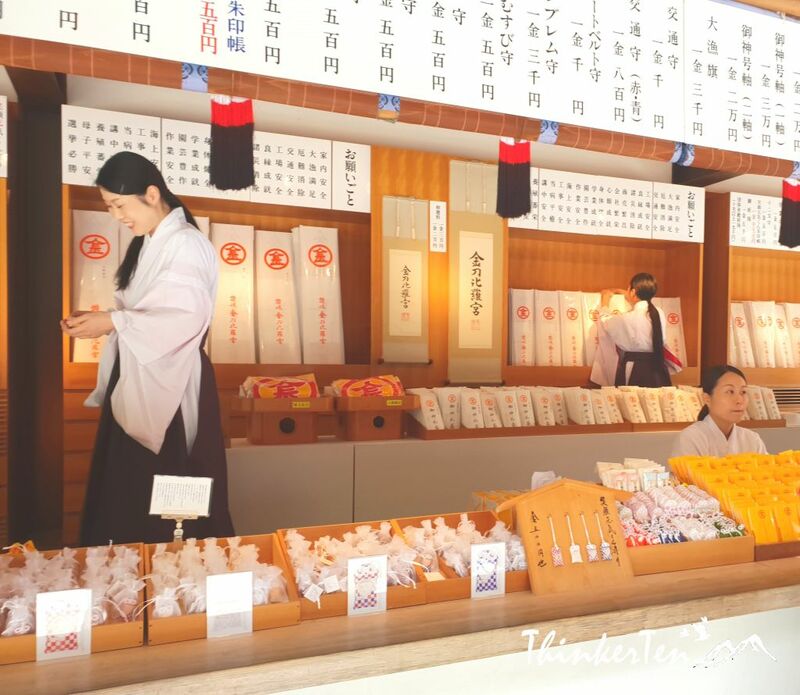 There are only 5 stalls at the entrance of Kotohiragu with special permission to sell “Kamiyoame candy” /加美代飴 in the shrine premises. 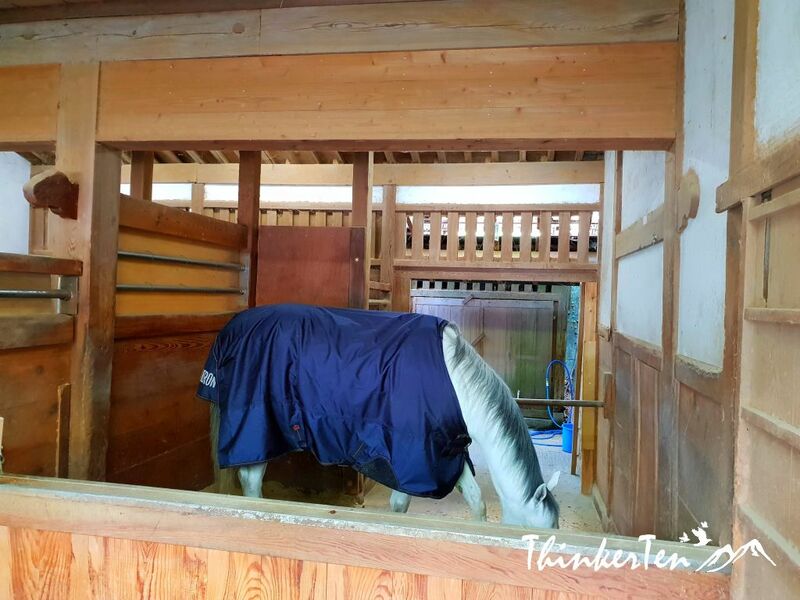 They set their stalls with a huge white umbrella and knelt on their knee on the red table. These people are allowed to sell thing here because their ancestors had made great contribution to the shrine. Shoin is the study hall to learn about the sutra. Asahi-sha is the largest building in Konpirasan complex. The achitecture is stunning and well maintained. It was a Monday morning but the locals crowd aren’t little. I waited for quite a while for the crowd to clear and shoot this picture. 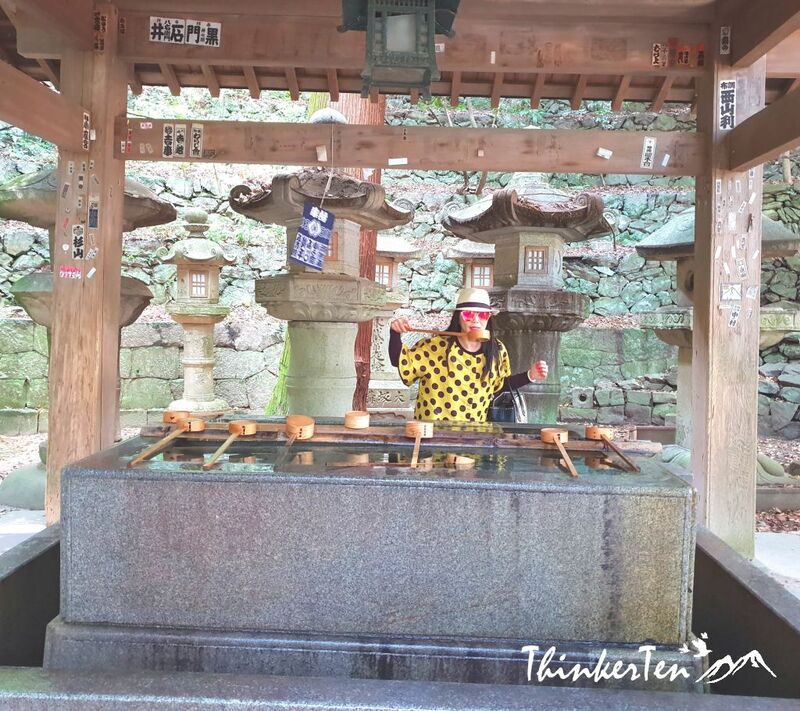 Usually there is the purification fountain near the shrine complex, take one of the ladles and fill it with water and rinse both hands. Then transfer some water into your cupped hand, rinse your mouth and spit the water beside the fountain. Do not drink directly from the ladle. 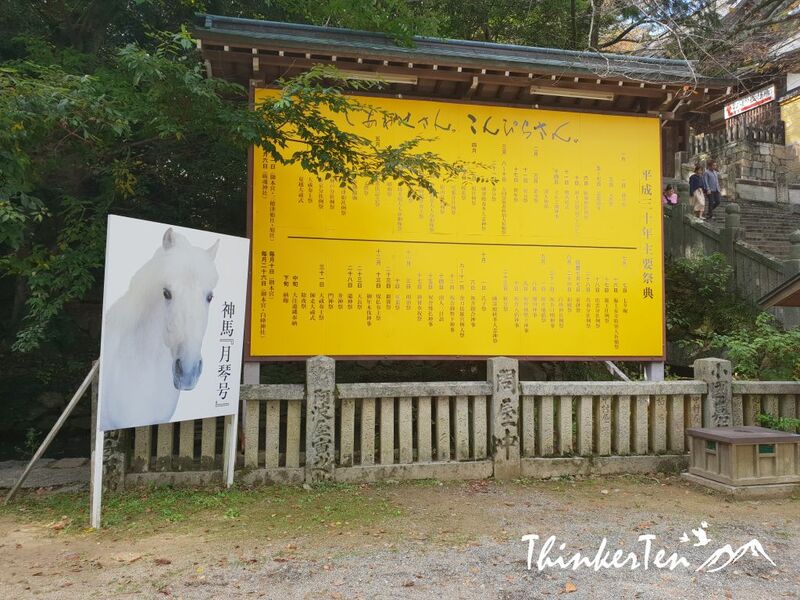 There are 2 horses here regarded as God Horse but they look ordinary except with color white. Too bad the horses refuse to look up so I can’t shoot his face. 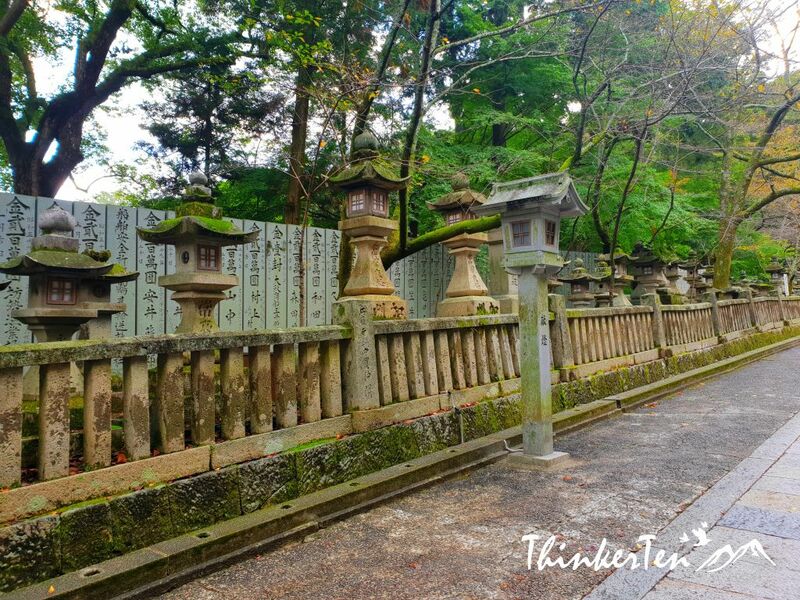 At the side corner of the main shrine, you are able to see the whole Sanuki city. 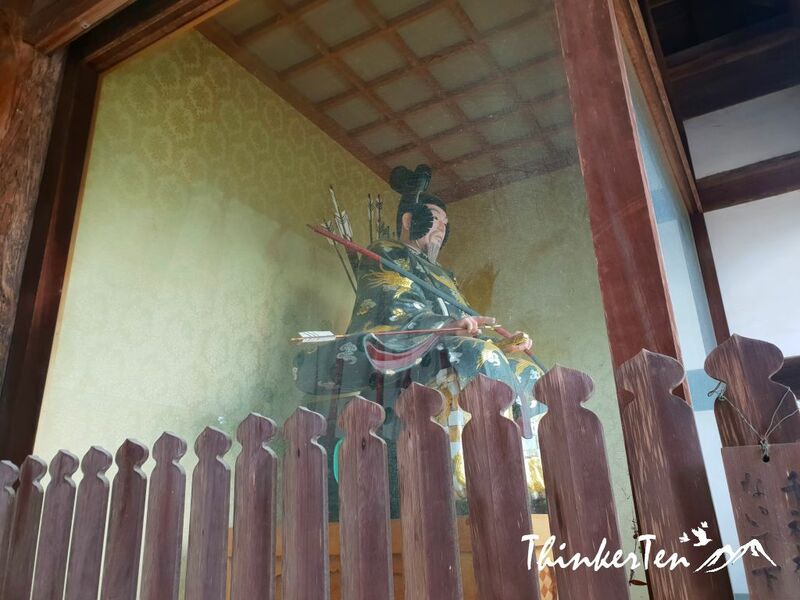 Kagura-den 神楽殿 is traditional dance stage usually found in most shrines but now still used for weddings and Noh plays. If you are lucky you may see Noh plays in this stage. I have seen Noh play once when I was a student in Kumamoto Kyushu. Pretty interesting but totally has no clue about Noh play. 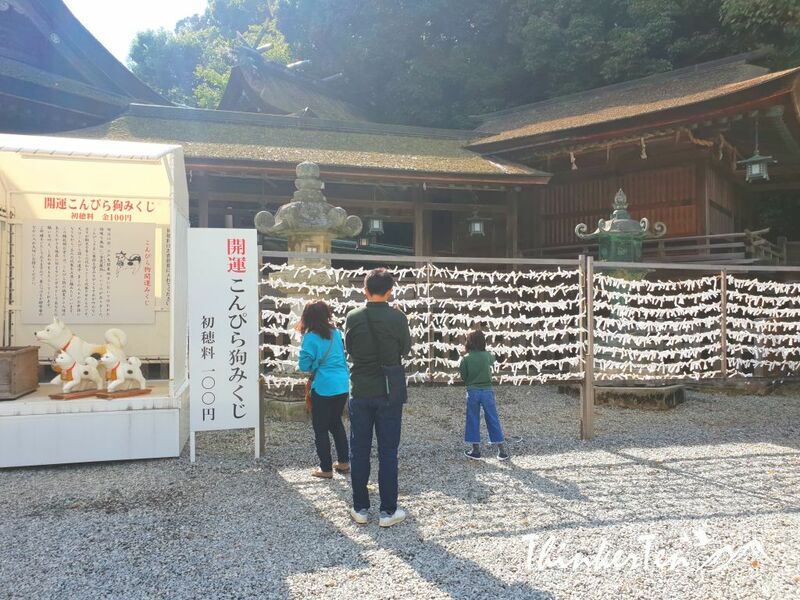 Most shrines offer omikuji in Japan. Omikuji are Japanese fortune telling paper strips. There are good and bad prediction. If you get the good prediction, you can either keep it for good luck or tie it to the tree or wire so that more fortune coming to you. What happen if you have a bad prediction? Find a pine tree is called “matsu”; it has the same sound as “to wait” also “matsu”, the idea is that the bad luck will wait by the matsu tree and not coming to you. 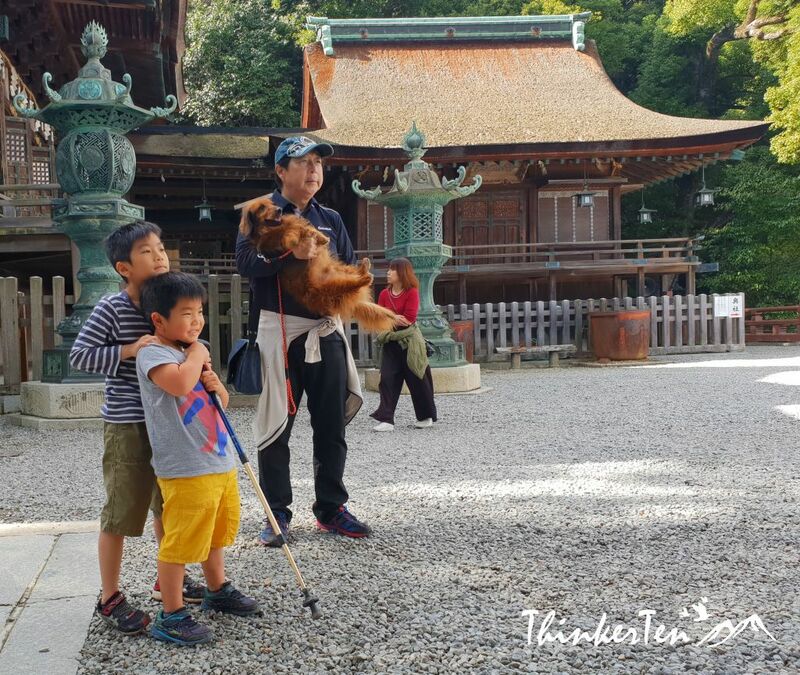 There are many dogs visiting Kotohira gu with their owner and there is reason why this shrine is popular among dogs. 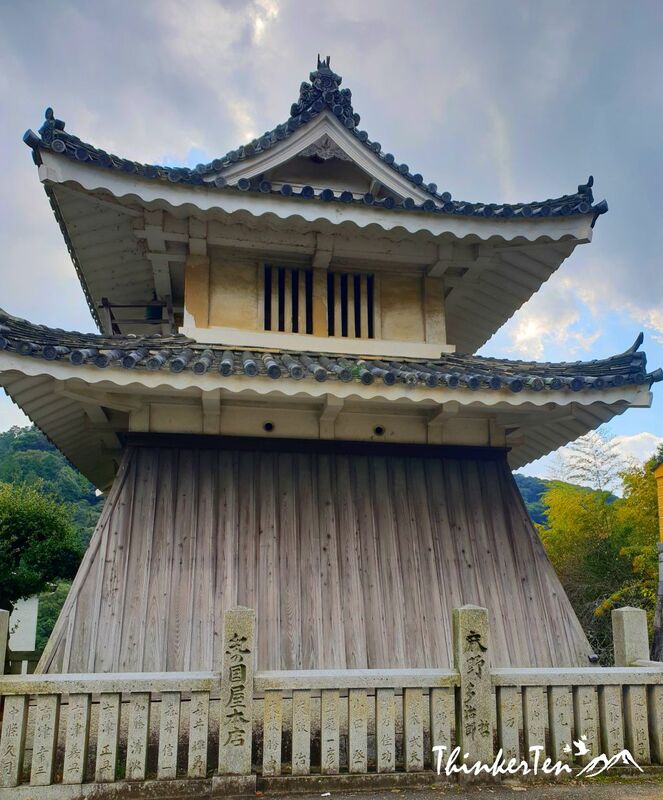 During Edo period, people are expect to go up once in their life time and some people who could not make it to the top due to illness would send their dog to help them make pilgrimage. 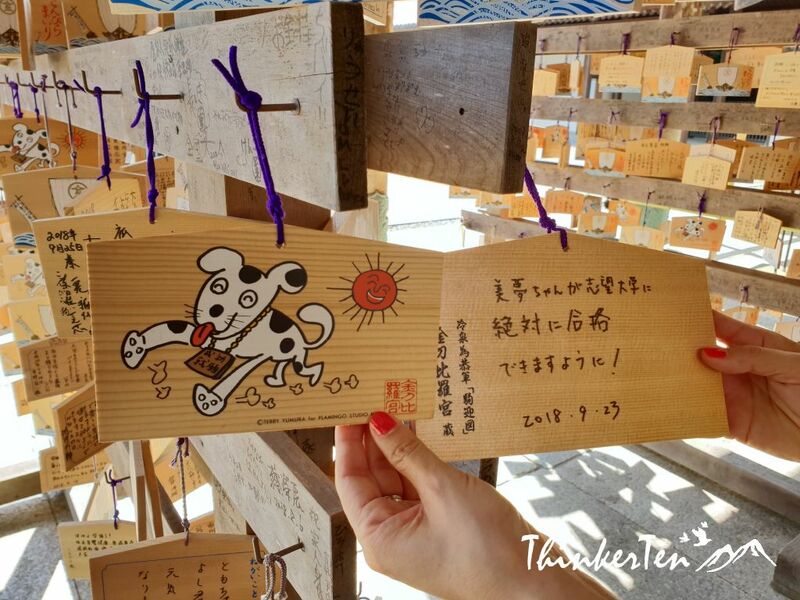 The owner would hang a wooden tag with their name, some money & offering to the dog’s neck and travelers on their way would also help to lead the dog up to the shrine and hand over what is in the dog neck to the temple. Dog owners and their babies. An exhibition hall with pictures of old ships and submarine. 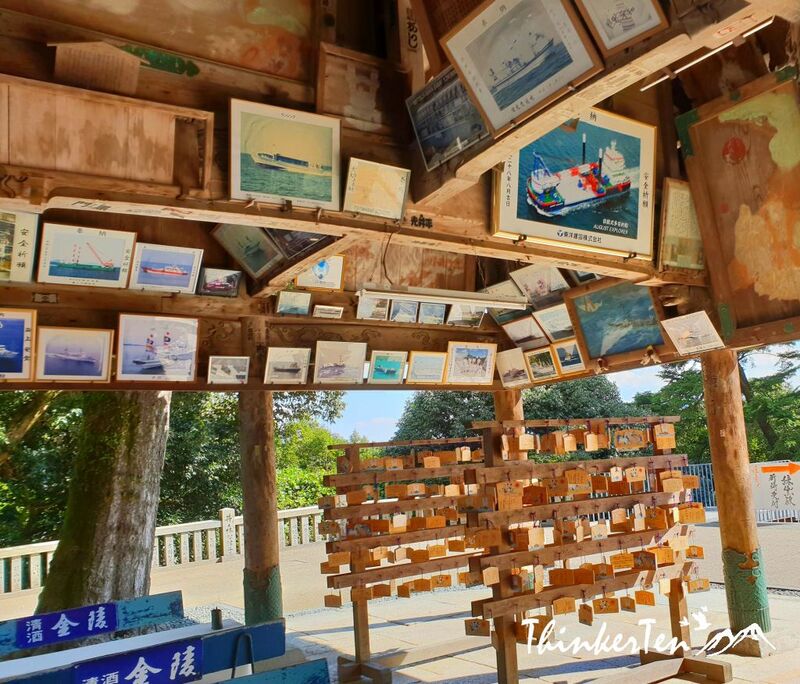 Since this shrine is patron of sea ship and sailor. Ema 絵馬 are small wooden plaques found in Shrines. 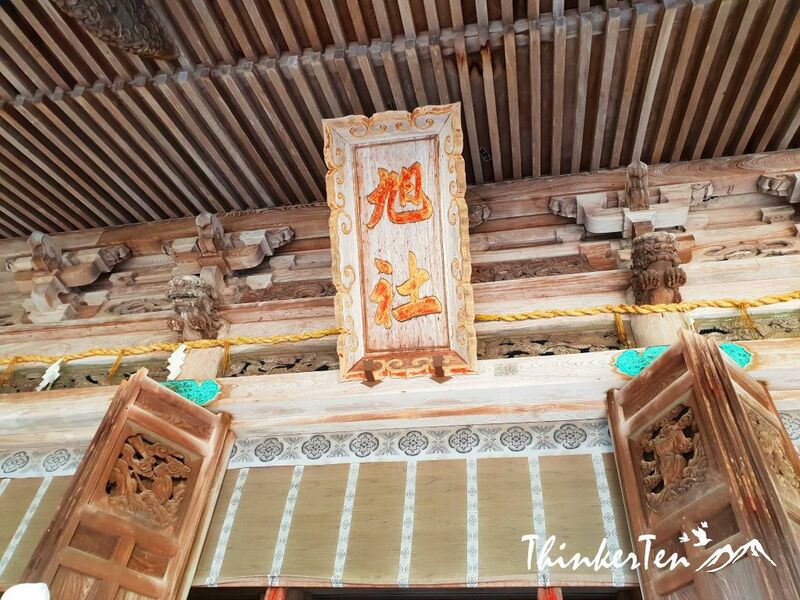 The ema are left hanging at the shrine hoping for the god to receive them and help the owner grant their wishes. We spent about 2 hours to view Konpirasan or Kotohira-gu. Then we walked back to get our car and drive down. On the way down, we spotted there are plenty of charged car park. So even if you are self driving, there is no problem to get a car park at the foot of the Konpirasan. 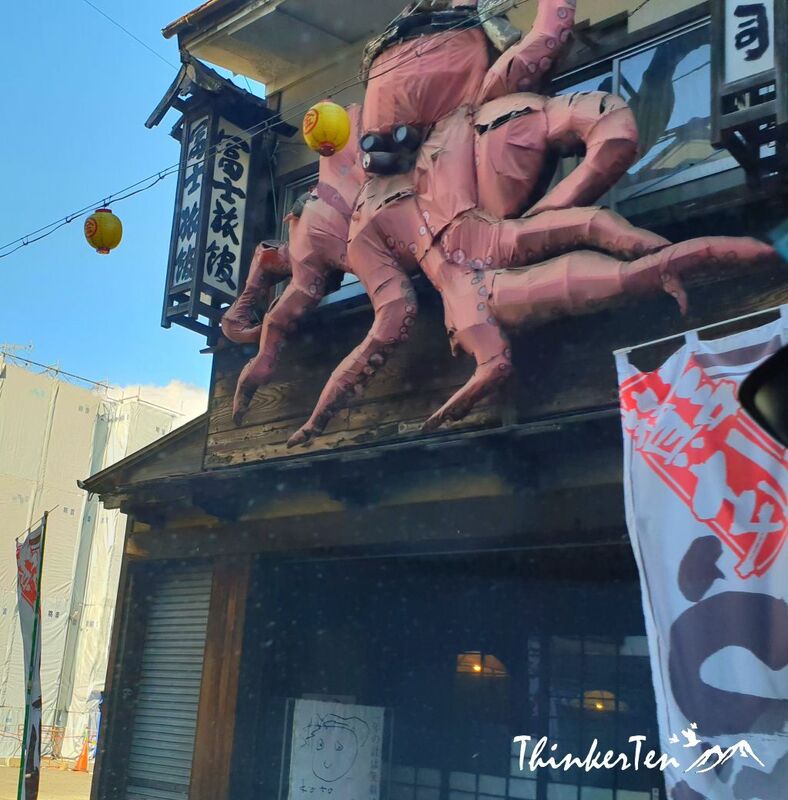 Some interesting shops at the foot of the Konpirasan. 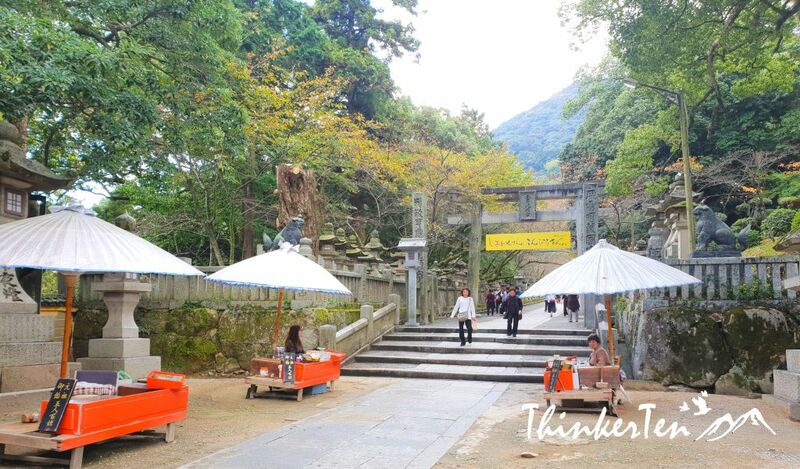 The yellow banner mean – “Shiawase-san, Konpira-san” (しあわせさん、こんぴらさん) or “Mountain of Happiness, Konpira Mountain”. 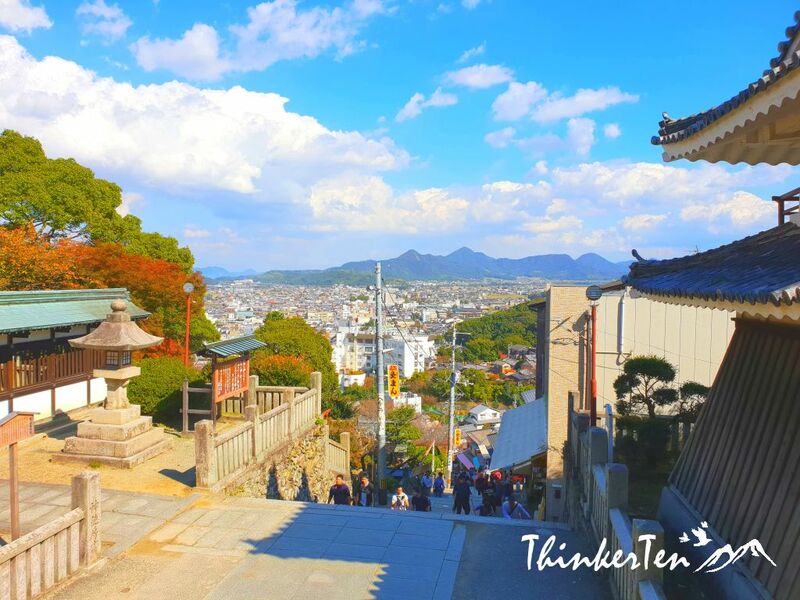 There are 1368 steps up to Kotohira-gu/Konpirasan, the mountain of happiness. 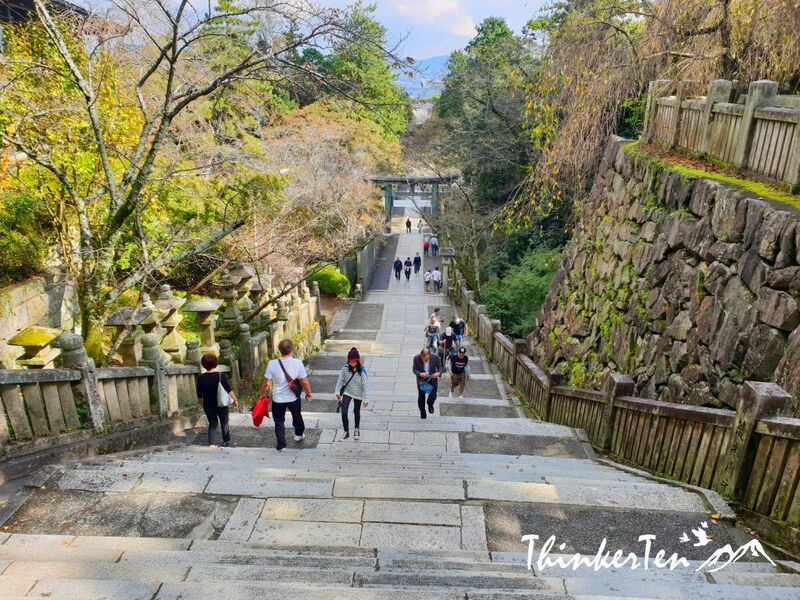 During Edo period, everyone is expected to visit at least once during their lifetime. 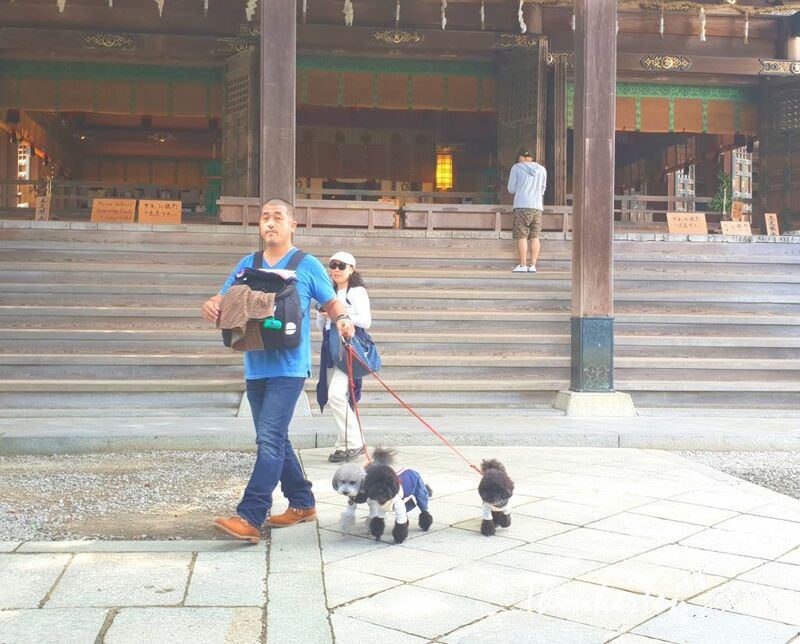 Some who is unfit will send their dog to come up to do the pilgrimage for them so you see there are also many dogs visiting this shrine with their owner nowadays. 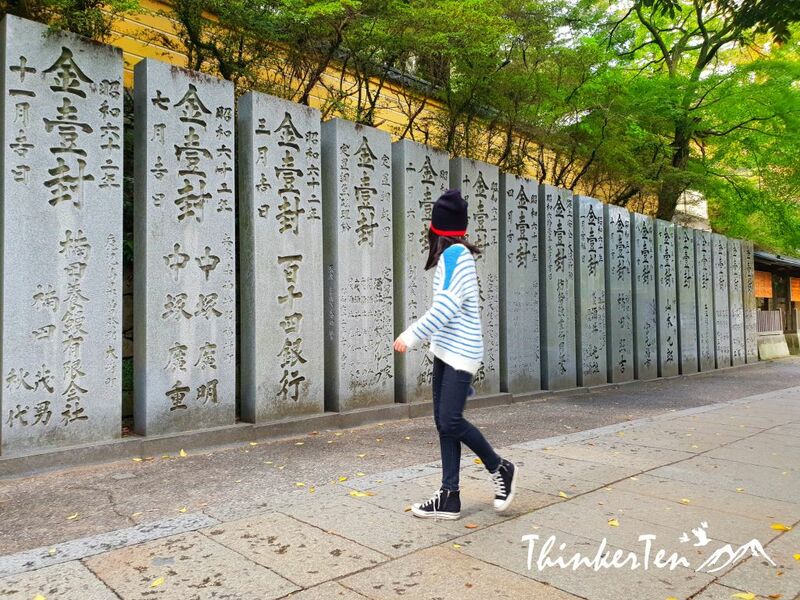 The best time to visit should be in Autumn – mid Nov onwards, you also get to see the red maple leaves in the backdrop. These photos are absolutely gorgeous! Japan is such a gorgeous country. Thank you for your comment. 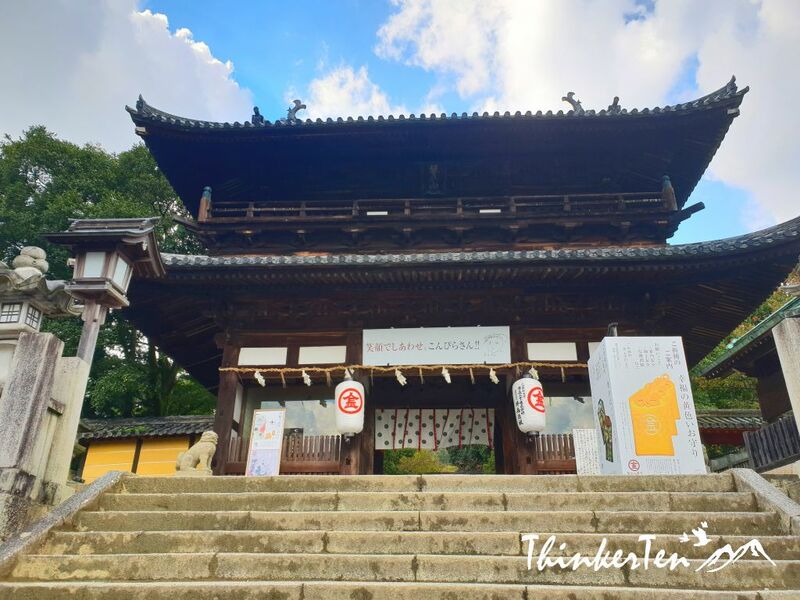 Compared to the big cities such as Tokyo and Osaka, Kagawa Prefecture in Shikoku Island has only local tourists visiting this place. A hidden gem that is widely known to the local only. What I love about this place it, less crowd and I can shoot many photos with no other photo bombs. I have pinned your post to refer to later – I am travelling to Japan next April! I am so excited to start planning my trip. I hope you are well prepared for the trip to Japan next April. You have choosen the best timing to visit. Oh wow, the polka dot outfit you’re wearing in some of these photos is so cool. I’ve never been to Japan, but it’s certainly on my list. Those places are so beautiful and some of them are such a perfect place to for a relaxation, hope to visit this country someday! It is really nice to re-connect back with your root. The place looks gorgeous!!! I’ve never been to Japan but we’re planning a trip for next year, i can’t can’t wait!!! Thank you for sharing. I hope you have a good trip in Japan. This is definitely my type of place to visit, as I am always searching for places less touristy. I love how there is even a dog shrine there, that’s so cute! And it’s interesting how only a few vendors are allowed to sell candies at the entrance. Konpiran is actually very popular among the local Japanese. I was pretty shocked at first to see so many dogs with their owners visiting this temple but then later found out the reason behind it. The dogs in Japan usually were treated like babies and has very nice fashion. What an amazing place to visit! That hidden entrance through the woods looks pretty spooky and also very special. It must have really added to the feel of your adventure. The hidden entrance is the highlight of my trip to Konpiran. Yes, spooky and adventurous. This is the reason I love road trip, driving your own rental car and explore new places. I’ve never been there and this is definitely on my bucket list now. Thanks for sharing your incredible journey. Konpirasan is well-known among local Japanese tourists and every Japanese wish to make it up once in their life time, just like climbing up to Fujisan. I’m always a big fan of visiting areas that aren’t teeming with tourists. If you have an adventure along the way, like driving next to a bunch of graveyards, even better! It makes the story so much more interesting to tell later on! The photos you took are stunning. I would definitely make the effort to visit the Mountain of Happiness! You are so right! The driving next to a bunch of garveyards are the most unforgettable part when I think of Konpirasan 🙂 You don’t know how nervous I was as the road is so narrow and driving in the dark bamboo forest. My hands were so sweaty and shaky LOL. However when you think back, it is so funny and memorable. Better than the roller coaster ride in theme park. Hahaha. 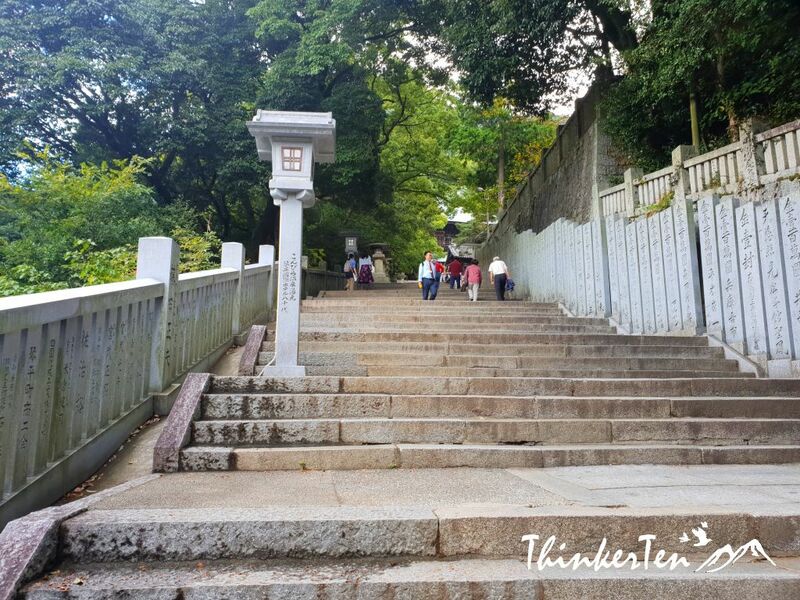 The 1368 steps can be achieved within 2 hours, it actually not that hard, many old folks make it to the top too with a rented walking sticks. I think young people can do without the walking sticks 🙂 Way up is well path stairs. What a beautiful place! I love visiting hidden gems and off-the-beaten-path places on my travels, so this looks perfect for me. Hopefully I can visit Japan in the near future! I like to use rental car when I explore Japan as it can bring me to places that only local visit. Konpiran is one of the hidden gem in Shikoku island in Japan. So amazing looks like such an interesting and special place. I love the architecture style. 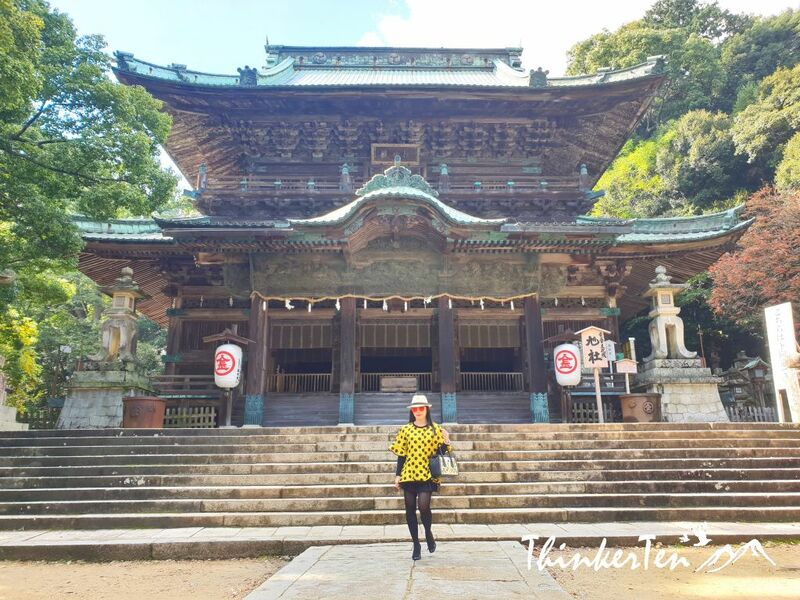 The architectural style in Konpiransan temple is a mixture of Shinto and Buddhism. 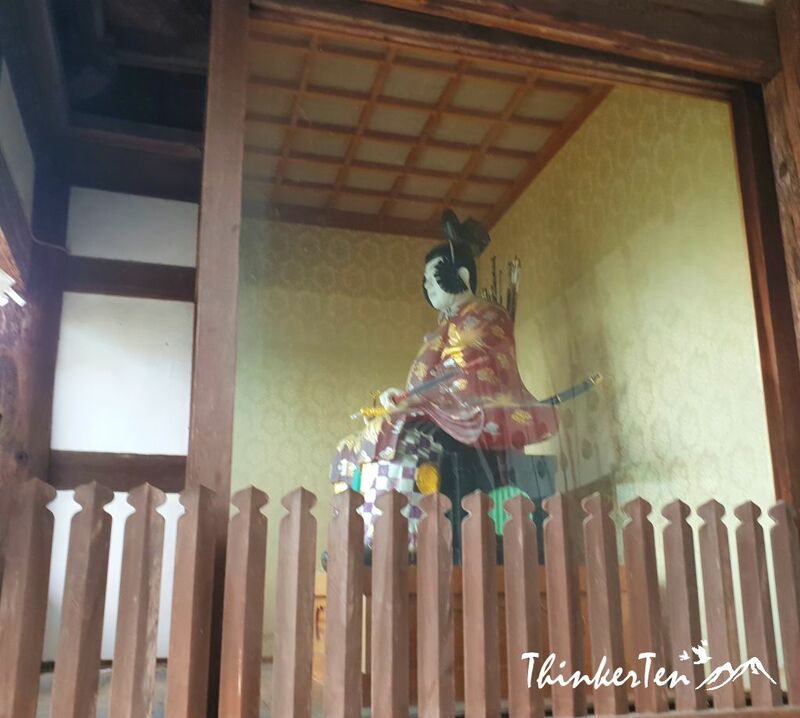 It was first built as Buddhism structure but then converted to Shinto till present. I love so many things about this trip. How amazing. I was in awe of those lemon trees growing like that. Like nature is supposed to be. You are right. The different entrance turned out to be not that bad too, I got to the the lemon tree and the bamboo forest. 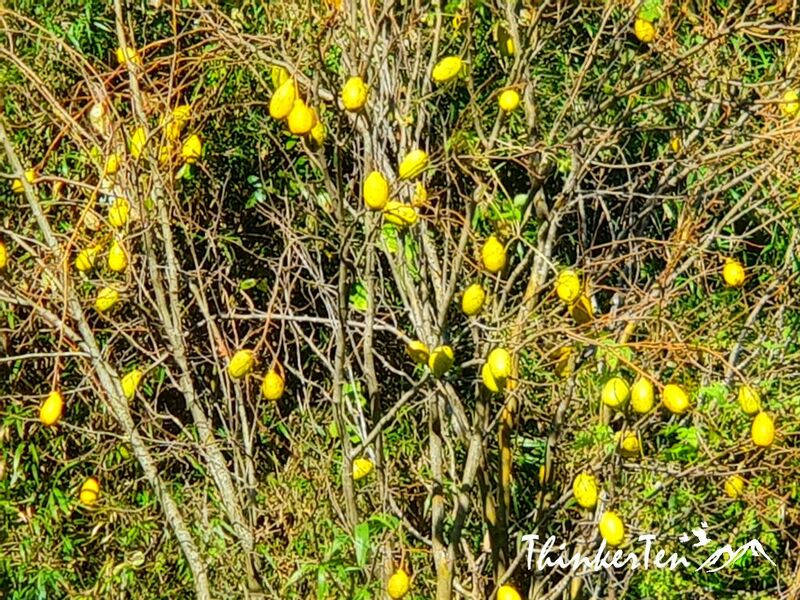 In where I live, we don’t see lemon tree at all. i’ve always wanted to go to Japan! these pictures are beautiful! It is pretty interesting to learn that during the Edo period, the one who can’t make it due to illness or sick body, would send their dogs to go up on behave of them. How cute. There are several statues in the temple showing the dog wearing a tag with messages hanging on it’s neck. Wow, what a stunning place to visit. I loved touring this part of Japan. So many magical places to visit and soak up history and tradition. This part of Japan, Shikoku is more well-known amoung local Japanese. 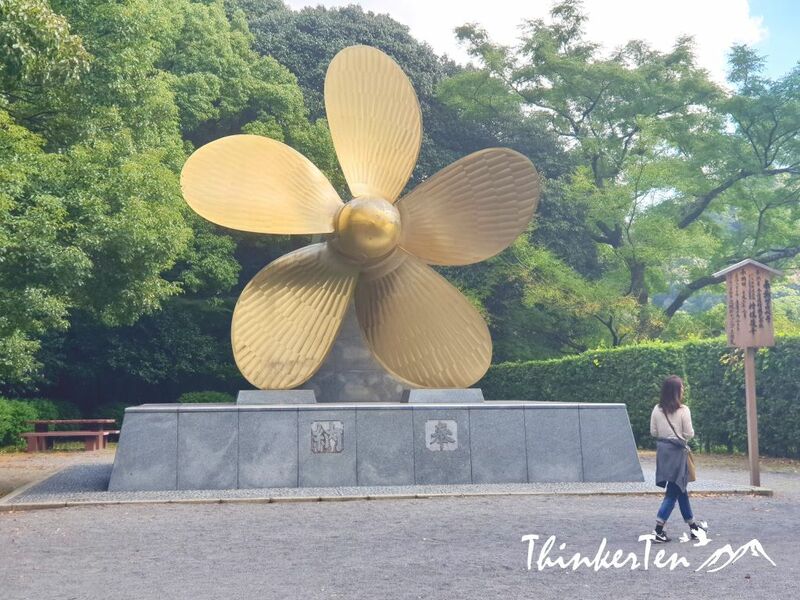 So you see less crowds and more of Japanese history and culture. 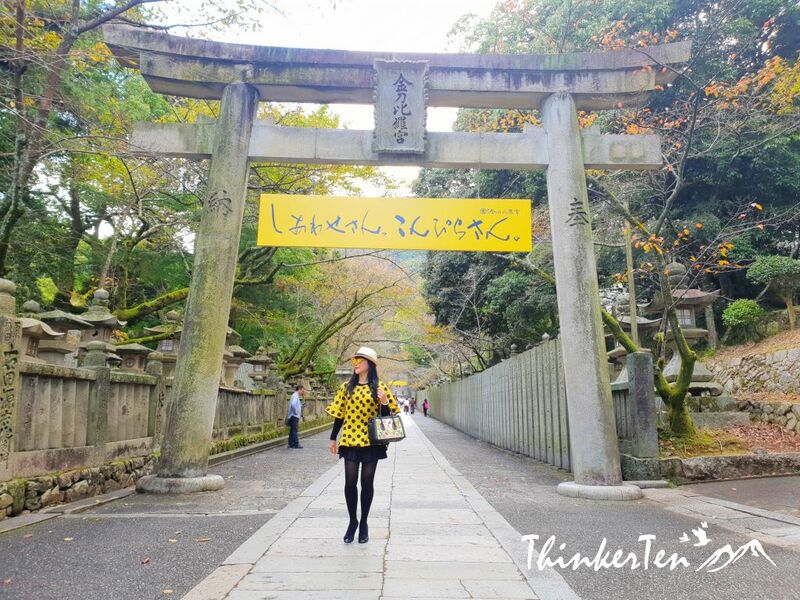 What an amazing place to visit in Japan! I would love to go there some day! 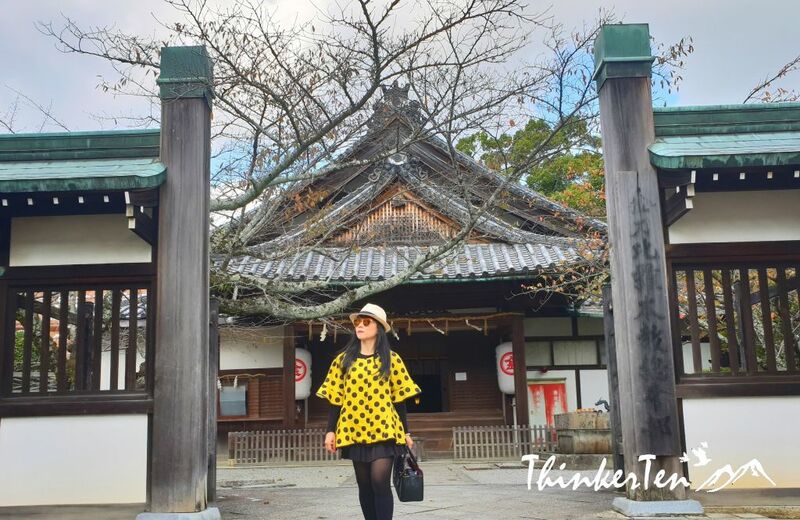 Japan is an interesting country to visit and this part of Japan is in Shikoku island, the most untouched by foreign tourists. Thank you for sharing. Indeed beautiful. Love your write up on this. Thanks for your compliment. 🙂 Hope to share my experience with others and this part of Japan which is quite untouched but can be very interesting too.